Since Billy Graham’s death on Feb. 21, an outpouring of condolences and memories have filled BGEA websites and social media. Thousands traveled to the Billy Graham Library in Charlotte, North Carolina, this week to file quietly past his casket, and countless more waited outside the U.S. Capitol in Washington, D.C., to pay their respects as he lay in honor. 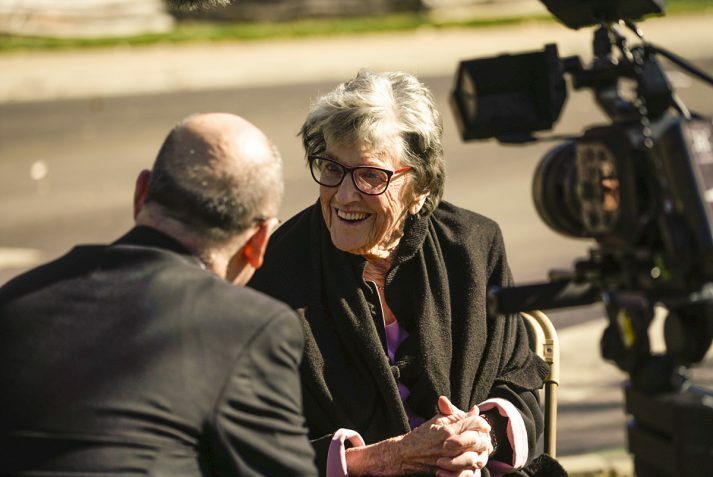 On Friday, many who attended Mr. Graham’s funeral took a step back from the magnitude of the occasion to talk about his impact on them personally. 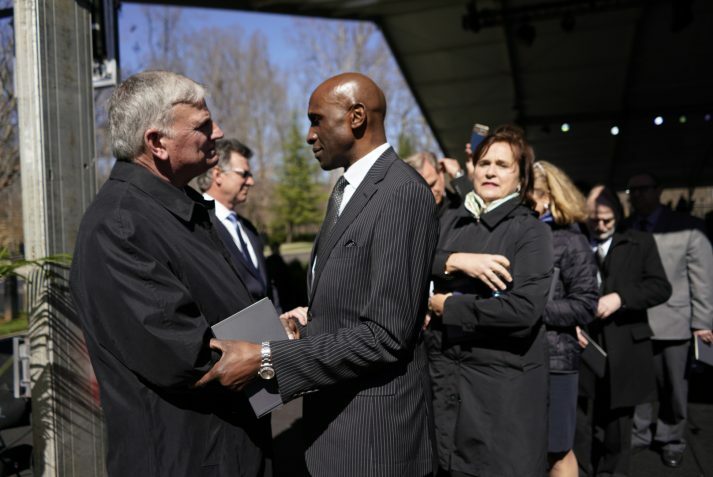 >> Read more about Billy Graham’s funeral in his hometown of Charlotte, N.C.
From Focus on the Family founder James Dobson to Pat McCrory to Ricky Skaggs, all were there to honor a man who never sought such acclaim. In true Billy Graham fashion, the funeral was centered on Christ, with news cameras rolling as one person after another lifted up His name. “Whatever I was doing, wherever I was in the whole world, I would have been here. Because he meant everything to me. … He preached to millions, but he was kind to me, just one woman. “Any time something would happen in my life that was in the tabloids or in the papers in a terrible, horrible way, the first phone call I would get every single time would be Billy. And sometimes he wasn’t even in America. And he would call, I don’t even know how he found out, and he would say, ‘Kathie, hi honey, this is Billy. Can I pray with you?’ And he would pray for me. The public Billy was no different from the private one. The man lived his faith. I’ll have eternal life because Billy was faithful to his calling. >> Watch a video of Billy Graham’s funeral service. Rick Warren told the story of being asked to pray at former President Barack Obama’s inauguration. The hat he had purchased for the occasion was stolen, and when Billy Graham found out, he sent Warren his own hat, worn at nine inaugurations prior. Their friendship had begun decades earlier. 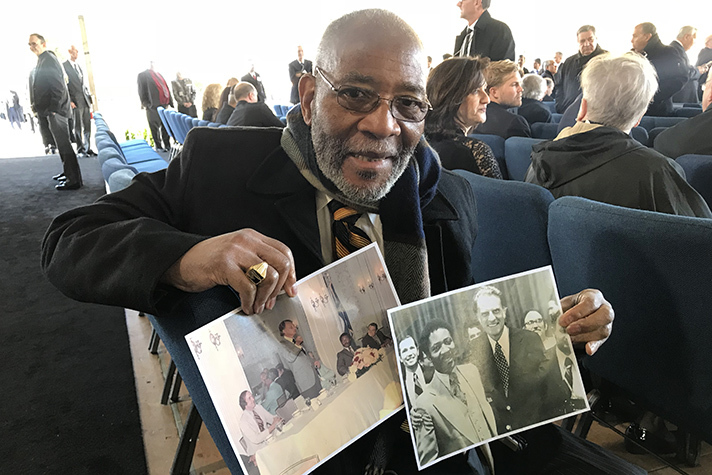 In 1952, 13-year-old Amos Brown attended a Billy Graham Crusade in Jackson, Mississippi, where ropes segregated the audience by skin color. Amos Brown was pastoring Pilgrim Baptist Church in St. Paul, Minnesota, when Billy Graham held a Crusade there in 1973. He brought a couple of photos along of him and Mr. Graham. Rev. 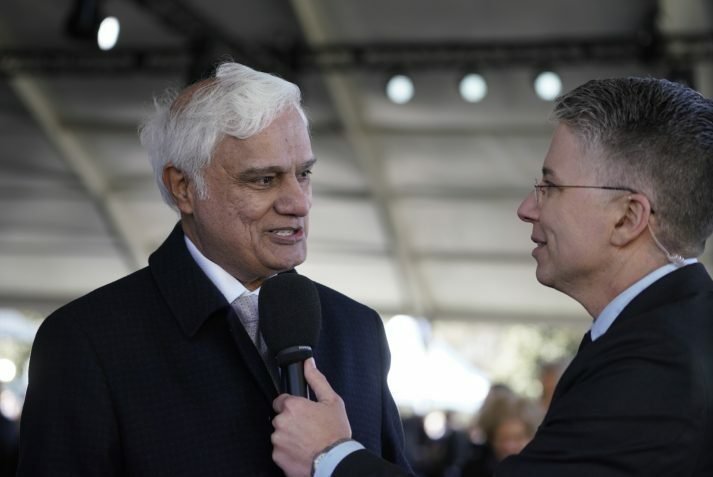 Billy Kim served as Billy Graham’s interpreter for his largest-ever Crusade in Seoul, South Korea, attended by over 3 million people over five days. The last day of the Crusade alone drew more than 1 million people. “He’s a life that’s so overwhelming to celebrate. … He’s such a tremendous example of how to run the race and finish well. Larnelle Harris of Kentucky sang in several of Billy Graham’s Crusades. Rev. Gerald Durley served as Crusade director for a 1994 Billy Graham Crusade in Atlanta. He talked about how Mr. Graham helped bridge the racial divide in his community and how he called to pray for Durley’s daughter the day of her wedding. “If you had to summarize Billy Graham from [the African American] community, it would be honesty, openness, transparency and humility. I think his legacy has to be focusing on the power of Jesus Christ and not about political persuasion, not about gender, not about race, not about whether you’re an immigrant or a non-immigrant, but understanding Christ loves us. “He would hold up his Bible and say, ‘The Bible says.’ That’s where the power came from. Dobson added that no matter what Mr. Graham was asked over the years, he always brought it back to the cross, to Jesus’ love for us and sacrifice for our sins. Leave your own memories and condolences. 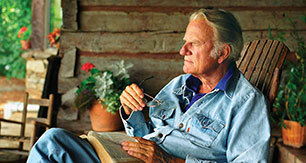 Visit the Billy Graham Library, an ongoing Crusade.